​The Shepherd's Staff Newsletter for Lent 2019 is now available featuring: Metropolitan's Message & Calendar; News from the Metropolis, MEFGOX, Philoptochos, Youth Office; an update from His Eminence regarding news from the Patriarchate; and the complete 2018 Friends of the Metropolis list of donors. ​The Shepherd's Staff Newsletter for Christmas 2018 is now available featuring: Metropolitan's Message & Calendar; News from the Metropolis, MEFGOX, Philoptochos, Youth Office; an article by Fr. Michael Bahlatzis; and the January through November 2018 Friends of the Metropolis list of donors. ​The Shepherd's Staff Newsletter for Indiction 2018 is now available featuring: Metropolitan's Message & Calendar; News from the Metropolis, MEFGOX, Philoptochos, Youth Office; an article by Fr. Ciprian Streza; and the January through August 2018 Friends of the Metropolis list of donors. ITHACA, N.Y. – The Very Rev. Dr. Seraphim Poulos, an archimandrite priest of the Greek Orthodox Archdiocese for 40 years, passed away on Friday, July 27, after a months-long battle with pancreatic cancer. He was only 68 when he died. His passing was a tremendous loss not only to St. Catherine Greek Orthodox Church in Ithaca – situated in the backyard of Cornell University, a major institution of higher learning – but was also felt deeply throughout the entire Greek Orthodox Archdiocese of America. This was manifest during his funeral on Thursday, August 2, in which nine priests who came from far and wide participated, and which was attended by a packed church that morning. Three bishops were also officially represented: Their Eminences Archbishop Demetrios of America, Metropolitan Nicholas of Detroit and Metropolitan Evangelos of New Jersey, as expressions of sympathy poured in from scores of friends and former parishioners nationwide. Fr. Seraphim was born John Poulos in the village of Groton on May 26, 1950 to the late Peter and Patty Poulos. The family moved to Ithaca when he was two years old. His father was among the founding members of St. Catherine’s Church, and had the honor of naming the parish, selecting St. Catherine the Great Martyr of Alexandria in honor of his mother (Fr. Seraphim’s paternal grandmother), whose name was Catherine. After graduating from Ithaca High School in 1969, Fr. Seraphim pursued his theological studies at Holy Cross Greek Orthodox School of Theology, as well as at other seminaries and universities. He also earned his Doctorate of Ministry degree at Catholic University in Washington, D.C.
Fr. Seraphim had demonstrated a clear love for the Greek Orthodox Christian Church and faith from the time of his youth. While other kids his age were placing posters of pop-culture figures in their rooms, young John adorned the walls of his room with icons of saints and photos of churches and Orthodox Christian bishops. Before St. Catherine’s Church became a fully incorporated and chartered parish under the Archdiocese, it was a mission parish of the Annunciation Church in Endicott (now located in Vestal), whose then-parish priest Rev. Phillip Gialopsos would come to Ithaca for occasional liturgies, usually on Saturdays, and other liturgical functions throughout the year (e.g., baptisms and weddings). Young John was Fr. Phillip’s consistently faithful altar boy on those occasions. Fr. Seraphim was ordained in the spring of 1978 at St. Catherine’s Church, with well over 300 people in church that Sunday morning. He wistfully spoke of how his parents had always supported and encouraged him to become a priest. “Priesthood is a gift,” he told the congregation that day with tears streaming from his eyes because his father had not lived to witness his ordination. He went onto serve several large parishes of the Archdiocese over the ensuing years, to include Greek Orthodox parishes in Brooklyn; Norfolk, Virginia; and most recently, Saints Nicholas, Constantine & Helen Church in Roseland, New Jersey before retiring a little over two years ago from active fulltime ministry. He moved back to the Ithaca area to live a quiet life among his relatives and childhood friends, but resumed serving as a priest at his boyhood parish when Rev. Dr. Athanasios (Tom) Parthenakis, then pastor of St. Catherine’s Church, retired after Pentecost Sunday in June of 2017. Initially, Fr. Seraphim was “filling in” until Metropolitan Nicholas could assign the parish in Ithaca with a new fulltime priest. His seamless bilingual ability, rich voice, deep knowledge of Scripture and sacred tradition, and liturgical expertise sparked many calls among the faithful of St. Catherine’s parish community for him to be their next priest. “When Fr. Tom retired, we wondered what we were going to do. As a smaller parish, it’s harder for us to land a priest sometimes. Who would replace Father Tom? But we didn’t skip a beat. Father Seraphim had already moved back to the Ithaca area, and he just stepped in and stepped up to help us out,” said Nick Lambrou, president of St. Catherine’s parish council. “After just a couple of Sundays, it was clear that most everyone wanted him to be our next priest. With 40 years of experience, he gave us a great liturgical jolt, which kept us feeling spiritually revived throughout last summer. It was a no-brainer, so we just kept asking him until he said yes. And our bishop thankfully provided,” he added. It would soon unfortunately prove to be too good to be true. Just one month later, in October of 2017, Fr. Seraphim announced that he had been diagnosed with a serious illness, and that he needed to step away for medical treatment, hoping to resume serving the parish the following spring. But pancreatic cancer is typically among the most aggressive forms of cancer, and notoriously difficult to treat. “We felt cheated and robbed of a great spiritual opportunity, but we all prayed for a miracle, and we kept going to church,” Mr. Lambrou said. Metropolitan Nicholas started sending Rev. Stephen Gousios, a lay priest from the Buffalo area, to serve the Ithaca parish on Sundays. While the small community hoped and waited for Fr. 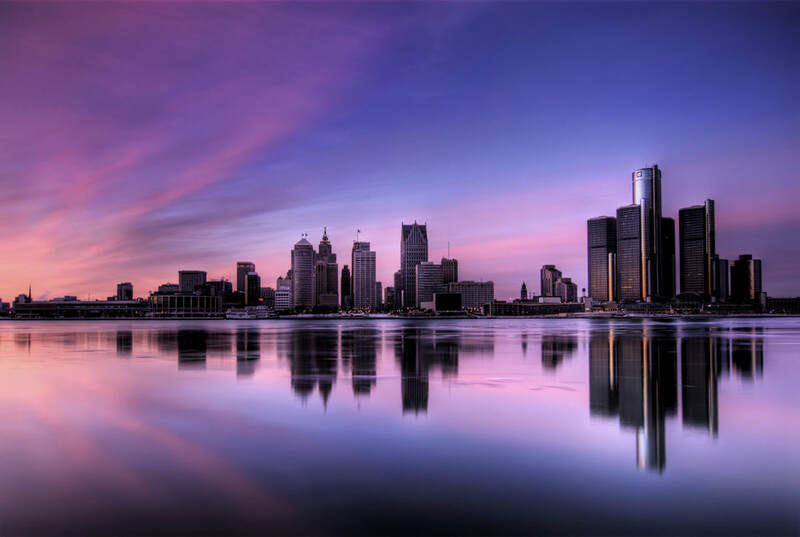 Seraphim to recover, the Metropolis of Detroit monitored Fr. Seraphim’s medical progress. There seemed to be some hope at first, with Fr. Seraphim making two very moving appearances during Holy Week 2018 on Holy Thursday and Great Saturday Evenings. He then travelled to Greece for a month this past June, and went on pilgrimages to St. Nektarios on the island of Aegina and St. John the Russian on the island of Euboea (both great miracle-working saints, thru whose relics the Holy Spirit has healed many people over past decades). But when he returned stateside at the end of June, the disease had clearly taken its toll on him. Fr. Seraphim was nonetheless determined to continue serving as St. Catherine’s parish priest, and celebrated the Divine Liturgy an additional three Sundays. He was visibly weaker, and the parish witnessed his valiant struggle to keep serving at the altar until he announced that Sunday, July 15, would be his last. “Celebrating the Liturgy until he no longer could was his ultimate sacrifice to help keep his beloved boyhood parish and community going,” Fr. Stephen pointed out. Fr. Seraphim passed away peacefully just 12 days later at Hospicare, a palliative care facility on Ithaca’s South Hill. A rainbow appeared over South Hill that same afternoon. Many St. Catherine’s parishioners took this as a sign that Fr. Seraphim was in God’s merciful Hands. Metropolitan Nicholas was overseas when Fr. Seraphim took his last breath, so he sent his chancellor, Rev. Dean Hountalas (pastor of Holy Cross Church in Farmington Hills, Michigan), to represent him and officiate Fr. Seraphim’s funeral proceedings. “I would have come anyway,” Fr. Dean said, citing Metropolitan Nicholas’ and his own close personal friendship with Fr. Seraphim. “John (Fr. Seraphim) was our classmate at Holy Cross Seminary in Boston,” he said. Fr. Dean assured the congregation that Fr. Seraphim was a true priest to the end. “His tenure as a priest in our Holy Church and Archdiocese was stellar. There were times that he suffered – when he was hurt and disappointed – but he continued to persevere over and against all hurdles placed before him. He fought the good fight. He gave it his best fight. His will was to continue, but his body’s strength sadly ebbed away. Yet when all things were coming to pass, it seemed to be orchestrated from Above. Fr. Michael Bahlatzis (pastor of the Annunciation Church in Vestal) arrived the Sunday before my friend and brother breathed his last to administer the Holy Gifts, and Father Seraphim was able to receive Communion as a priest one last time. He was then able to allow his soul to embark on his heavenly journey to receive his crown and celebrate his holy priesthood: ‘Thou art a priest forever, according to the order of Melchizedek (Hebrews 5.6),’ in God’s Heavenly Kingdom along with the Heavenly Hosts,” Fr. Dean said during the eulogy. Archbishop Demetrios and Metropolitan Evangelos sent personal letters of condolences to Fr. Seraphim’s family and the small parish in Ithaca where he concluded his ministry. “Father Seraphim centered his life and ministry on the victory that came from the sacrificial death on the Cross of our Lord and His glorious Resurrection. Entrusted with the holy priesthood in 1978, he served many parishes of our Archdiocese; from communities in the Direct Archdiocesan District to the Metropolis of San Francisco, to the community of St. Catherine in Ithaca, New York where he grew up, and which he held so near and dear to his heart. He nurtured the growth of all the communities under his care, and focused his energies on the ultimate goal of bringing the faithful closer to Christ. In this difficult hour of separation, please know that my thoughts and prayers will be with you. May the Good Lord grant life to you and eternal rest to the soul of His beloved servant, Father Seraphim, who has fallen asleep in the Lord,” the Archbishop wrote. “I was truly and deeply saddened upon being informed of the falling asleep in the Lord of our beloved Fr. Seraphim. Please accept my most heartfelt sympathies and condolences to his family, faithful parishioners and beloved friends. Know that he is in my fervent prayers for the repose of his soul in the bosom of Abraham. Fr. Seraphim’s depthless love for Christ and His Church was, and remains, an indelible part of his character in perpetuity. He was a dedicated servant of God who loved his flock deeply and served his entire life faithfully. His success as a parish priest was clearly seen on various levels within the Holy Metropolis of New Jersey. His dignified and devoted presence before the Holy Altar of our Lord, and his love for ministry and for the parishioners he shepherded, defined his legacy,” wrote Metropolitan Evangelos, who also instructed every parish in his jurisdiction to offer a Trisagion prayer service on Sunday, July 29, two days after Fr. Seraphim passed away. The eight additional priests who assisted Fr. Dean for the funeral were Rev. Andreas Houpos (St. Nicholas Shrine Church in Flushing, a spiritual son of Fr. Seraphim, who read Archbishop Demetrios’ letter to the congregation during the funeral); Rev. James Pavlow (St. George Church in Trenton, N.J., who read Metropolitan Evangelos’ letter); Rev. Michael Marcantoni (Holy Spirit Church in Rochester); Rev. David Smith (St. Sophia Church in Syracuse); Rev. Nicholas Rafael II (St. Demetrios Church in North Wildwood, N.J., a lifelong friend of Fr. Seraphim); Rev. George Khitiri (Fr. Seraphim’s successor at Sts. Nicholas, Constantine & Helen Church in Roseland, N.J.); Rev. Gousios (currently servicing St. Catherine Church in Ithaca); and Rev. Dr. Tom Parthenakis (of Erie, Penn., Fr. Seraphim’s predecessor at St. Catherine’s). Fr. Seraphim is survived by his sisters Katherine Poulos-Van Markwyk and Stella Poulos-Chronis; his cousin Kathie (Paul) Karakantas; an aunt; several nieces, nephews and cousins; and a multitude of spiritual children from the many parishes he served during his priesthood. He was predeceased by his parents, Peter and Patty Poulos, and his older brother Nick. Funeral arrangements were by Bangs Funeral Home. Burial was at Lakeview Cemetery. In lieu of flowers, Fr. Seraphim and his family have requested that memorial contributions be made to St. Catherine Greek Orthodox Church (120 W. Seneca Street, Ithaca, NY 14850), Hospicare of Tompkins County or St. Jude Children’s Research Hospital. Everlasting be his memory. And may the Good Lord bring his soul into a place of refreshment, a place of light and a place of repose, where there is no sorrow, suffering or shame. Amen. The writer is a 1998 graduate of Holy Cross Greek Orthodox School of Theology. He chants at, and is a lifelong member of, St. Catherine Greek Orthodox Church in Ithaca, N.Y.
Fr. Seraphim was anointed and vested for burial by Fr. Dean Hountalas and Fr. Richard Scott. Click here to read Archbishop Demetrios' letter. Click here to read Metropolitan Evangelos' letter. Click here to read Fr. Dean Hountalas' eulogy.